I was feeling incredibly grateful after recently teaching an Open Floor dance class in Marseille. Much of the gratitude was coming from the fact that this is such a nourishment for me and privilege. 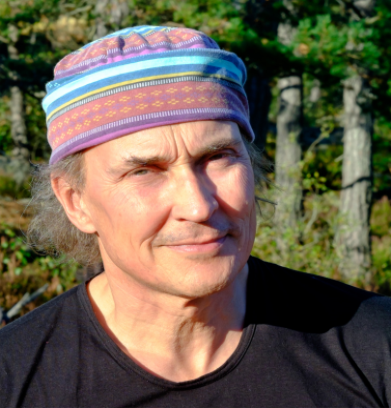 I have just moved to Portugal and it is not as simple as it was for me in Helsinki to teach. The feeling of gratitude was for the opportunity to share whenever these chances come to me. So it was special for me to be in Marseille ! In a sense my giving a class is just as much an experience for me as I hope it is for the people who participate. It is not about giving a performance and measuring how well it went. Was the music right for the energy ? Were the instructions clear? Did people understand! No, it was not this but the unique opportunity to meet everyone in the same place and bare our souls together...At the crossroads of the spirit. (reference the courage to teach by Parker J Palmer). When I am as natural and open as I can be then I am meeting the group and individuals on equal ground in a common space at the crossroads where we all come together. I simply let go and fulfil my role as space holder and trusted guide for that moment!! So every class I teach is a gift to me and an opportunity to reflect on what I experienced, to grow and transform it and to offer it back to the collective consciousness of the class. This is just a short note and reflection to acknowledge that the student and teacher come together to create something. We need each other to do this and the essence of the practice is just to be loose and natural and allow things to flow and to let go of our expectations and roles. Simply be aware in that moment. To be open to each other and vulnerable. Thank You and may we meet on the happy road of destiny. 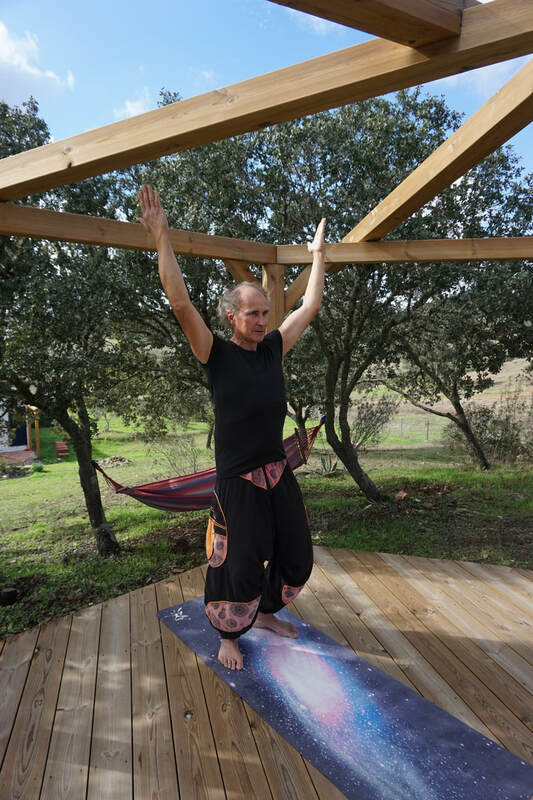 I arrived in Santa Cruz Portugal in December last year and have had very little time to connect and offer classes in the area. I teach Open Floor Conscious Movement and combine it with Tantra and work from Krish and Amana of the Learning Love Institute. I was writing about a class I am giving in Marseille this September called “Open the Box” and then felt it would be nice to share it here so I can reach out and offer my thoughts and ideas to others and build connections. To the subject of Open the Box!. The first word is "open". The box well you can imagine what that is! When I am open to someone or something then I can become many things. I can create more possibilities. My body can reflect Open as I dance and move with more space and allow my self to flow. Nothing can really move in me unless I begin to be Open. With opening my attention I can feel in my body how closed, tight or loose I am. Then I can consciously begin to work through my body areas (chest, shoulders, hips etc.. to become more open. What also helps me is to direct my energy through breath to open up the body. I can also use images to help with this. My body is like the sun coming over the horizon with more and more light coming forth. My arms reach out like rays and lights shines from my fingers and toes. My heart is the sun. This can be a beautiful meditation with movement as well. Open is also a very much a beginning point or returning point as I find I am in a state of constant change. Something my have entered my mind and caused my emotional body to produce tension that in turn closes me down a little. It can be subtle! I get lost, distracted or enter into inertia and don't even realise it!! This brings us to our emotional landscape. How closed or open am I to anything? How much do I baseline my experiences and then project them into situations. Taking an experience and then believing it will always be like this for better or worse in the future! Open in the sense of attitude and behaviour offers lots of possibilities. If I wish to move away from some situation or stop an unskillful behaviour then I may need to be open to new ideas as my old ideas may not serve me any more. Am I going to hold on or be open to change? This whole area can be quite scary and bring up lots of things that can be so beautifully moved and included on the dance floor. I simply open my body, mind and spirit to allow more space inside me. In this space we can find the connection to a greater energy that can transform. I become open, aware and present feeling what is happening. I give it movement and space and from that space where I can be loose and natural things can happen and will happen! !